The halls of power around the world today have a supply and demand problem. An over-supply of pride, power seeking and brash opinion and an under supply of active listening, compassion and courage to build bridges rather than walls. No matter what the problem, conflict or crisis, the feminine traits of leadership traits – compassion, collaboration, inclusion and bridge building – are a vital part of the solution. 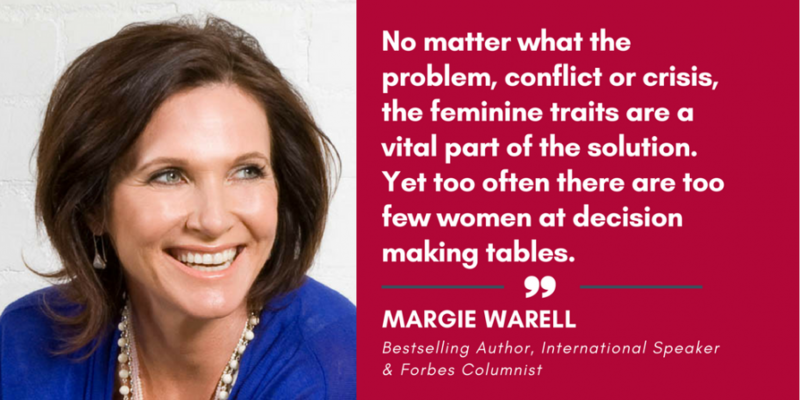 Yet too often there are too few women at decision making tables. Clearly much can still be done by organizations to improve diversity and foster inclusiveness. Yet leading change will take a collaborative effort by all stakeholders, including women themselves. It starts where great leadership always begins, with self-leadership. With more women challenging the established order and calling out inequity. In particular, with more women being willing to lay their vulnerability on the line and confront their fear of falling short in their endeavor. Below are six ways women can do just that. Lao Tzu wrote, “People are capable of more than they think.” When it comes to women, double it. Yet too often we underestimate our abilities and sell ourselves short. The ‘gender confidence gap’ drives clever, creative and incredibly capable women to downgrade their ambition and settle for less than they are capable of achieving (or earning!) 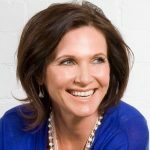 While women must face the negative correlation between ambition and likeability, setting your sights on goals that exceed your current capacity to achieve them sets you onto a whole new trajectory that, over time, opens doors, nurtures talent and builds your leadership brand, influence and impact. From an early age girls are taught to play nice, smile sweetly and go along to get along. Nice is rewarded; aggression punished. But sometimes we can be too nice for our own (and others) good. As I’ve witnessed many times, when women tip toe around sensitive issues for fear of causing offence, withholding their opinion (or worse, apologizing for having one), not only are issues left to fester but we deprive others of the value our opinion holds. If there’s something you genuinely want to say, chances are someone needs to hear it. It is from diversity that we discover the best answers to the biggest problems. Yet until women fully own the value their difference makes, they will be hard pressed to win over the skeptics. Raised to be humble, many women second guess their strengths and leadership style in comparison to those who exhibit the more traditional (male) leadership traits and dial down their individuality. This serves no one. Embrace what sets you apart from the pack. Therein lies your greatest value. A HBR article titled Women Don’t Ask cited a study which showed that the starting salaries of male MBA graduates averaged $4,000 higher than female graduates. The reason: 57% of the men negotiated their starting salary, compared to only 7% of women. Assuming hard work alone will get you ahead but can leave you burned out, bitter or both. Asking for what you want and advocating for yourself isn’t about being greedy or boastful. It’s about letting the people who can help you add more value and become more valuable, do just that. After all, decision makers need to know not just who you are but what you want and why you should get it. They aren’t mind readers. So start risking more rejection. Daring to ask for what you want correlates highly with getting it. “Nothing big was ever achieved by cowering,” said Julia Gillard, who endured a very public failure during her time as Australia’s first female Prime Minister. Yet she also rose above derision and defeat with grit and grace. If you want to be taken seriously and valued for what your worth, you have to stand tall in that worth and unwilling to cower to those who may seek to intimidate or belittle you (as Gillard experienced, some will steep low). Refuse to be defined by the words or actions of another. You can be feminine and fierce at the same time. Risking failure, criticism, rejection, and job loss, can be scary and emotionally uncomfortable. Yet, your competence, capacity or confidence for leadership are riding on it. And while losing your job may seem pretty drastic, the courage you demonstrate by laying your security and reputation on the line sets you apart and earns respect in ways that playing it safe never can. It’s that very courage people yearn to see in their leaders. The truth is that creating a better world requires creating a braver world and creating a braver world begins with a braver you. So it’s not just our responsibility to lead with the courage we yearn to see more of in those who hold power, it is our obligation. Margie also participated to one of our Twitter Chats about breaking through the glass ceiling. Have a look!